Anthologies are tricky to rate, because there are good stories and there are not so good stories. 1 First Man in the World – 2 stars – People who like traditional sci-fi might enjoy this, but for me it lacked any sense of humanity or struggle. Just a vague how-to terraform a planet. Not my cup of tea. 2 Three Demon Gambit – 4 stars – I enjoyed the twists and turns in this story, even though I didn’t like the protagonist, a student in a school of magic. Dealing with demons and rival students was interesting. 3 Rolling the Bones – 4 stars – disturbing use of necromancy, found it difficult to parse the characters at first, but once I figured out the king and wizard were two different people, it flowed well and I enjoyed following the protagonist through his difficult choices surrounding the morality of using necromancy to preserve the peace. 4 All the Way – 4 stars – A future where dying people can upload themselves to robots and work in space. Quite a human story, however, and I felt quite bad for the robot’s ex-wife. 5 Scales Fall – 4 stars – I’m not even sure if I fully understood this story, with how it jumped around in time, but I enjoyed it a lot. It all felt so familiar, possibly because I read a lot of ancient Egyptian stuff as a kid. 6 The Ant Tower – 5 stars – Here was a story I didn’t want to end. The shifting in time with each scene took some getting used to, but the story was excellent. By far my favorite up to this point. With plenty of twists and turns, this trek through the desert didn’t end the way I thought it would. I want to read more from this author. 7 Heft – 3 stars – I found this spy story with a twist rough at first, and I’m not sure I fully got the ending. I think I did, but the uncertainty left me feeling unsure how to rate this one. I was left with the feeling that there was something clever that happened, but it wasn’t explained enough for me to understand in its entirety. Maybe if I read it a second time, but it wasn’t a story I enjoyed enough to do that with. The philosophy behind it was some next-level stuff that isn’t too hard to imagine actually happening, though. 8 The First Acolyte of the Upshan Berental – 5 stars – A story of being true to yourself, even in the face of disapproving authority. I enjoyed the theme, and also want to see all the worlds. 9 Bronwen’s Dowry – 5 stars – This story of a poor shearer and his wife going to a gathering of pipers was genuinely moving. I loved this one. 10 The Spider and the Darkness – 5 stars – This fantasy tale involving an abused girl seeking to escape her lot in life was fantastic. 11 The Dowager’s Largesse – 5 stars – I already bought the next story in this series because I loved it so much. Who doesn’t love the sound of a cursed bounty hunter with a belligerent llama companion? 12 Theriac – 4 stars – A woman who sees demons (maybe? The way others brush off her concerns makes me wonder…) is confronted with the not so difficult decision of what to do about some half-demon children. As written, it’s 3 stars, except that it had me thinking about it afterwards, wondering what the truth of the matter is, so it got an extra star. 13 The Red Flame of Death – 3 stars – This story about a holy man hunting a demon was okay. The pacing and writing were fine, but in the end I didn’t really care how it ended, because the characters were flat. 15 The Rakam – no rating – First person present tense? Ugh. I have other things I want to read, and after struggling through the first paragraph I said, “Forget it.” I won’t count this one toward the average rating, because I couldn’t give it a fair chance. 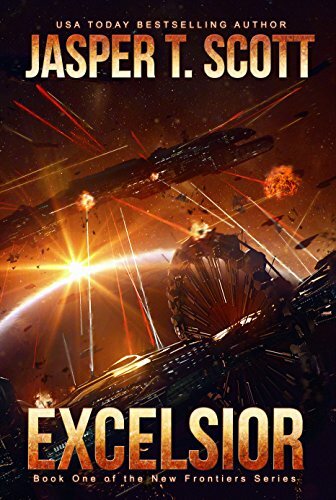 As soon as I started reading this, the fourth book in the Halcyone Space series, I felt like I’d come home. Even though the characters were still suffering from the events at the end of the third book, catching up with them again was effortless. I’m so impressed with Cohen’s ability to bring out books quickly, and maintain the high quality I’ve come to expect. The galactic conspiracies grow by leaps and bounds. The protagonists have no idea who to trust, or the depth of deception that underlies everything they know. The build up to the final scenes is not fast paced, but not slow: deliberate. After every scene I would curse Cohen for switching to a different character, because I wanted to stay with who I was reading about, but then I would quickly be immersed in the new story line. There were too many twists and turns for me to be able to see where the story was going, and after finishing it, I can’t wait to get my hands on the next book! This was a fun series of short stories. 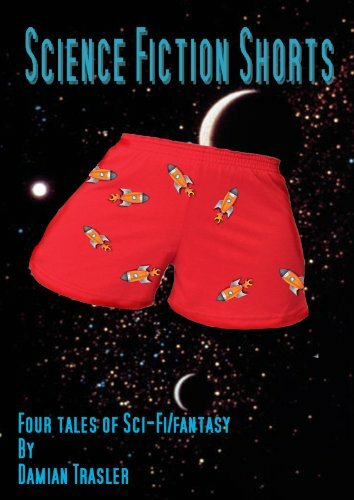 From the folly of a scientist who cannot see the benefits of his accidental research outcomes, to jumping timelines, psychological monsters, and a fun Calvin and Hobbes meets Batman and Robin style space adventure, this collection has a range of styles, with each of them being entertaining. My favourite of the bunch was the third story, The Boglet. This collection is worth the price for that story alone, in my opinion. It’s rare that I laugh out loud while reading, but the ending was just too funny! Hundreds of years in the future, the Alliance (western countries) and Confederacy (eastern countries) have an uneasy truce. The Alliance is capitalist, the Confederacy is socialist, which gives you the feeling right out of the gate that you know how this is going to turn out, with the Alliance being the stalwart heroes, and the Confederacy being the hive-mind bad guys. Their truce is about to come undone with the discovery of a wormhole. When the Alliance refuses to share the discovery, World War III breaks out while Captain Alexander and his crew make haste to escape through the wormhole to whatever waits on the other side. First off, if I remember right, this book is set in the 2700’s, so you have to suspend your disbelief for a moment that there hasn’t been a world war between now and then. I find that to be unlikely, even moreso after the US election that just took place. There was really only one thing that bothered me with this book, and it’s not that major – it’s that the Captain at times seems perfectly comfortable in his role, and sometimes acts like he’s never done anything in space before. When he accidentally tosses all his belongings all over his room because of zero G, I was left wondering, “How are you a Captain of a military space ship, and don’t know how to act in zero G?” There were a few instances where I felt like the Captain was a rookie, despite having 10 years of experience in the navy. That hiccup aside, the story is quite good. There were times I wished he didn’t explore other POVs to heighten the tension, and keep the reader wondering what was really going on. The sense that something is wrong with everything after entering the wormhole is pervasive. Although the love story was predictable, the rest of the twists and turns made it so I couldn’t guess what was going to happen next with the main plot. The ending of the story is satisfying, which is a big thing for me. I don’t feel pressure to jump into book 2 straight away. However, the teaser for the second book in the series was pretty good, and I’ll probably pick it up at some point to continue reading. Humanity ruined not only the world, but itself. Fleeing to the stars in hopes of finding a better world, this story begins in our distant future when that fleet is in trouble. Supplies are limited, the ships are in a constant state of disrepair, the people are angry … but hope appears in the window in the form of a new planet. They need this place to be one of two things: a safe haven where they can begin to rebuild, or a world with a rare mineral that will allow them to build a jump gate to leap to a distant star where they might find solace. This book throws a lot of stuff at you right from the start, and I almost put it down because I was feeling frustrated with all the unknown terms and the large list of characters. I’m glad I stuck with it, as the pieces started to fall into place. Fast paced, with characters I grew attached to, complicated plots with unexpected twists and turns … this book was excellent. This book is actually three complete stories in one, the first dealing with the approach to the new planet, Soren. The second follows a worker on the ship a while after they’ve started building a temporary colony on Soren. Traitors are discovered, rules are broken, and retribution is swift. In the third is when you really start to dig into the depths of the conspiracies, with a great deal of cloak-and-dagger work going on behind the scenes. 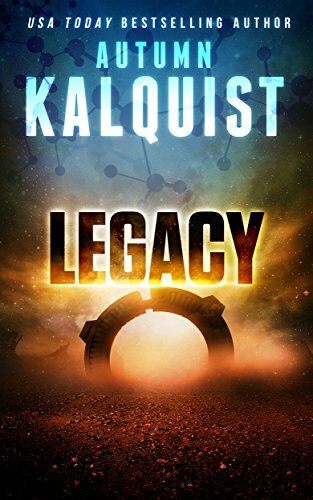 This book ends in a cliffhanger, and from the sounds of it Kalquist is going back to do a prequel before continuing with the series, so that’s a little frustrating. I don’t care so much what happened to get the people where they are, I’m invested in the story and want to know where they wind up! I guess I’ll just have to try to remember to keep an eye out for a sequel. The description of this book promises fast paced action and edge of your seat suspense. This could not be further from the truth. I have NEVER rated a book 1 star before, but this one is so, so deserving. This book spent literally 50% of its time as back story being told around a campfire. I WISH I WAS KIDDING! Just when you’re thanking all the good things in the world that it’s over, it’s someone else’s turn to tell her story! ARE YOU KIDDING ME!? Campfire stories are NOT fast paced. They are NOT suspenseful. And this book hits SO MANY of my personal pet peeves, that if it weren’t for Stephen King recommending that people read bad books to learn to write better, I would have deleted this one after the first chapter. The first point is never addressed in the book. The second, they make a sad attempt at explaining that the AI’s code has become so enormous from its constant growth that it requires servers that fill a city. Really? An AI that cures cancer within one year of activation. An AI that can hardwire the brain to interface with the Internet. An AI that grows androids, has a limitless mechanical army … can’t shrink hard drives and processors? The book takes place somewhere after 2040, I think. At that point, a super-brilliant AI should have conquered quantum computing, and maybe gone on even further. If HUMANS can shrink processors, hard drives, RAM, etc by several times on a regular basis, I’m pretty sure this AI should be walking around in its own body. Or many bodies. The idea that it has made no progress on fixing its one weakness – the size of storage – is laughably bad. I mean, even if we suspend our disbelief for a moment, it has so many factories and robots all over the place, why can’t it build more of these enormous servers somewhere else? It’s infinitely smarter than any human, yet fails at this simple problem? It makes no sense whatsoever. I have a couple problems with this … what if DANA isn’t in the bedroom at all? Then you’ve wasted your grenade and done no damage. Why would blowing up the bedroom and failing to kill the AI cut it off from its robot army? Does it only have one computer in its bedroom, and there’s nothing else in the rest of the house it could use to communicate? There was one moment in the book where I thought, “That’s actually kind of cool,” when an android described its own creation and birth. Again, that’s part of the insanely long info-dump exposition fireside story, so it wasn’t enough to get me to like this. Honestly, the author should have started with that character’s story as a stand alone book, because it sounded REALLY interesting, but not as a, “Here’s 50% of the book being her talking about her past” kind of story. That was AWFUL. AWFUL I say. And then my #1 pet peeve of a first book in a series: it ends for no reason. There is absolutely no attempt to tie up any loose ends. It just says something along the lines of “join us next time in book 2!” and if I hadn’t been holding an e-reader I would have thrown the book in a fire. I hated it so much I won’t even add an affiliate link on my website’s review, because I expect no one to buy it. Mr. King, I know you said it’s a good idea to read a bad book, but I didn’t learn anything reading this, except that life’s too short to waste on bad books. 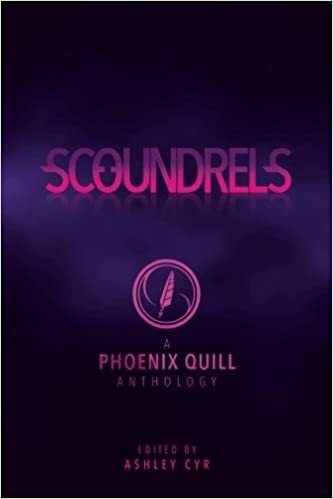 This is my first review of a short story anthology, and it’s tricky. There were stories I loved so much that I plan on looking for more work by a few of the authors. There were others that were good, but I wasn’t so hooked that I wanted to read more about the characters. There were others that were okay. Overall, I liked the composition of the anthology, and was pleasantly surprised to find it loaded with stories about female protagonists. Even the stories with male protagonists featured strong women. So I’ll go through, story by story, and give a brief one or two sentence review for each. A Tale of Two Ships was excellent, with a captivating magical sort of overtone. I want to find out what happens with the protagonist in this story. Carl Sagan’s Hunt for Intelligent Life in the Universe was an enjoyable read about collective, community intelligence that transcends physical forms. The alien protagonist was fascinating, but I’d have to read a sample of any following books, because I feel like it’s preparing to switch the POV to the human, and I feel like that story might be somewhat less interesting. Blood Ties felt unrealistic. You might be thinking that’s not really a down-side for SF, but when an adult programmer is given a job to do, it’s stressed that he’s made the deadline very tight and will need help, and then his daughter has to do it all herself in the allotted amount of time? Yeah, that’s not going to happen. Passage Out features a street urchin who’s also a mathematical genius. 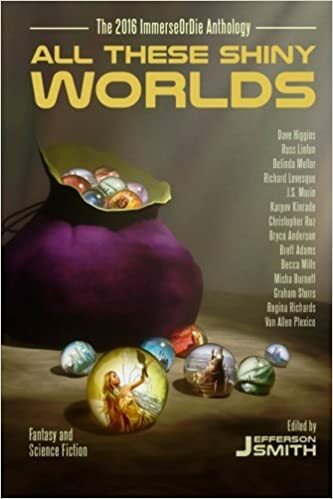 It felt like it had an interesting backstory, and I was curious about the social disparity that continued to exist on the alternate-history Earth where aliens had intervened, at least partially. Arcturus 5 was difficult to get a feel for at the start, because the protagonist is very alien, and the reveal of both the alien form and the political landscape came along slowly. There were a few times where little details were given to a mystery that I don’t think the reader could have had a chance to figure out, or even have any way of knowing if it was technically possible. There was a lot of action, but with a diplomat as the main character, I’d want to read a sample before continuing on, because it has the prospect of being pretty dry. Treason’s Course was the reason I got this anthology, because I have loved LJ Cohen’s space opera series. This story showed the back story to one of the characters who has captivated me in the series because she’s so stone-cold and doesn’t give away anything of her past. Seeing how some of the events and characters evolved around her was eye-opening. The scene breaks going back and forth from past to present were sometimes jarring, but the story was excellent. Falling’s captain was somewhat unbelievable. Here stands someone in his early 20’s who has apparently been a fleet captain, left, and gone and made quite a name for himself as an outlaw. He seems full of galactic experience that I found hard to believe fit into a character so young. There were certainly interesting aspects to the story, like the “Prepper” on the edge of space with his recycled goods. But I’m really not interested in following the protagonist further. 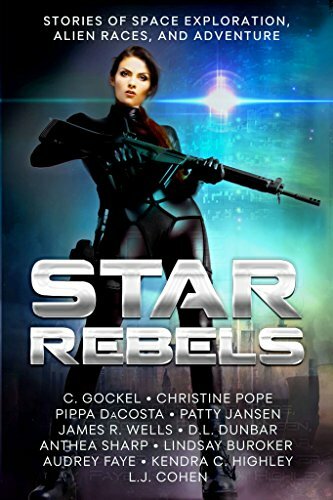 Starfall was an excellent story about a cyborg who’s trying to find his place after his empire has fallen. 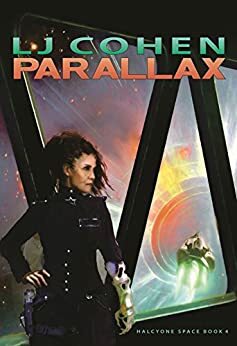 Absolutely fantastic characters and pacing, and I want to read more about this story that reminds me a great deal of the tv show Firefly. Luminescence was a ho-hum story about an artificial human who’s in a relationship with a human on a far distant moon (can’t recall which one right now, but I think it orbits Jupiter. Maybe). Ancient knowledge is gained through “seeds” planted throughout the solar system, and I don’t even remember how it ended. Wasn’t very memorable for me. Glome kept me on the edge of my seat throughout as we watch the crew of a colony ship come out of a 1-way “Glome” that brings the crew to a hellish world. There are plenty of twists for a short story, and I’d like to see what happens next. Unfinished was long. 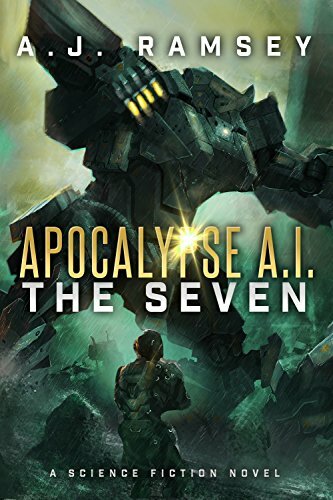 When I started reading it on my Kindle, I thought there would still be two stories left, but this was a multi-part story that examined the thoughts and feelings of artificial humans who are made to serve some unexplained dark purpose. I kept expecting the slaves to make a break for it at any time, and have no trouble escaping given their “better than human” makeup and training, but it continued to drag on.